Using the same footage that we used for the Chromatic Aberrations Plugin, let’s look at the next plugin, SkyBox Color Gradients. 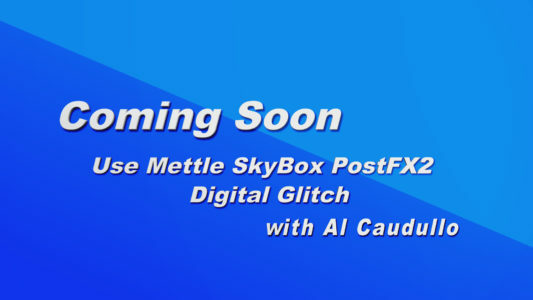 When we add the SkyBox Color Gradients, you will notice that we automatically get this color pattern on the screen. And what we can do is we can adjust that, and we can blend these colors together. However, we want and in whatever fashion we want to. You can change the number of points that you use. You can bring it down to just one or two. We’re going to leave this with three right now we got kind of a funky looking thing going on here. Let’s adjust the gradient power and the blend. You can adjust that however, you’d like. Next, let’s adjust the opacity till we get our city shot shining through. Maybe what we might want to do is that we might want to go over here and take this red and bring it over here where the sun is. The green we may want to bring over here by these trees, the Blue can come up to the top to enhance the sky. In fact, let’s get rid of that green altogether and what we’ve done is that we have created this kind of funky look. You can adjust your blending mode giving you whatever kind of look that you want to. 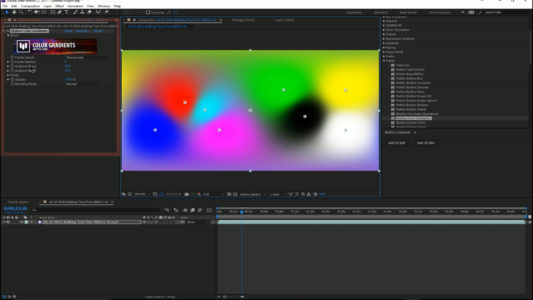 And you can keyframe all of these as well, so you can move this around and create not just a static set of gradients, but a moving harmonious blend of gradients that very creative. 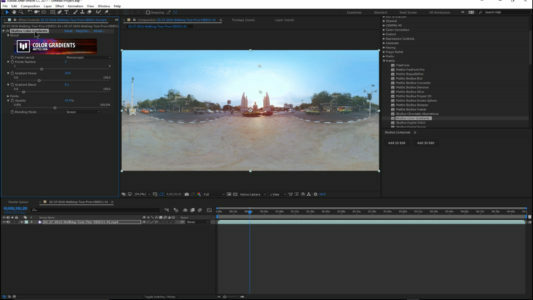 Indeed, a very very cool effect to your 360 right let’s get rid of the color gradients. 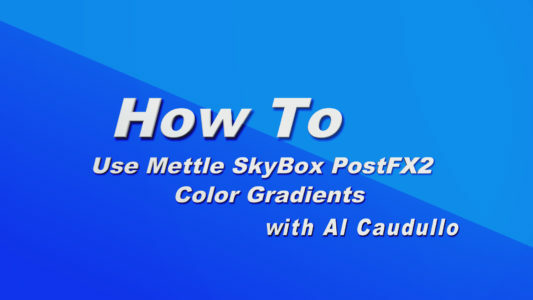 The SkyBox Color Gradients offer these list of adjustments. • Frame Layout – Monoscopic or Stereoscopic Over/Under. • Points Number – the number of color points that will be applied. The default is 8 points. The maximum is 8 points, and the minimum is 1 point. • Gradient Power – adjust the overall Gradient Power for all of the Color Points. Gradient Power works from the central point of each color. The higher the Gradi¬ent Power, the more the color points will remain their original color throughout the gradient. (i.e. think of this as reinforcing the core for each color, preventing it from blending easily with other colors.) The default is 50. • Gradient Blend – adjust the overall blending for all of the color points. The higher the number, the more the colors will begin to blend together, starting at the edges and moving inwards. (i.e. similar to feathering around the edges.) The default is 10. • Points – adjust the Color and Point of Interest for each of your color points. Each of the Points of Interests can be moved independently and are key-frameable. 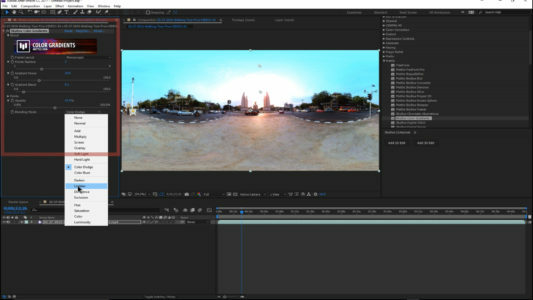 • Opacity – use this setting to adjust the overall opacity of the Color Gradients effect on your footage. At 100% the effect is entirely opaque. At 0% the effect is totally transparent. The default is 100%.